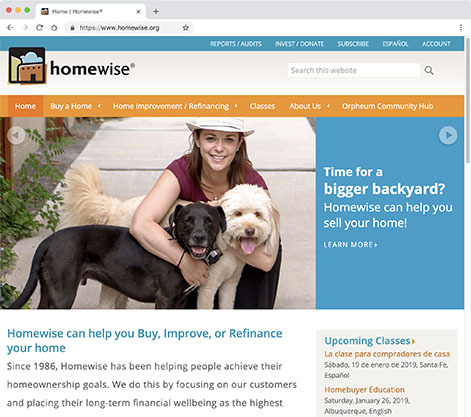 Homewise wasn’t looking for a redesign, but they were in desperate need of a website that was more stable and secure, easier to manage, and that allowed them to better deliver information to their target audience. 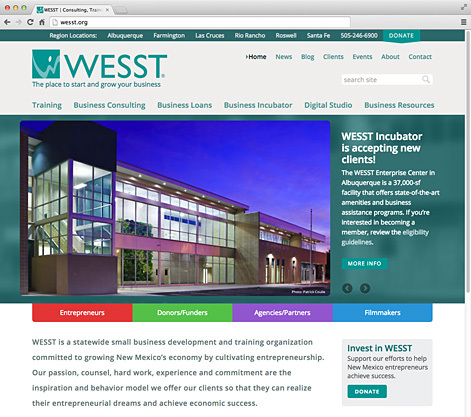 Their new site is complex, but easy to manage and navigate. 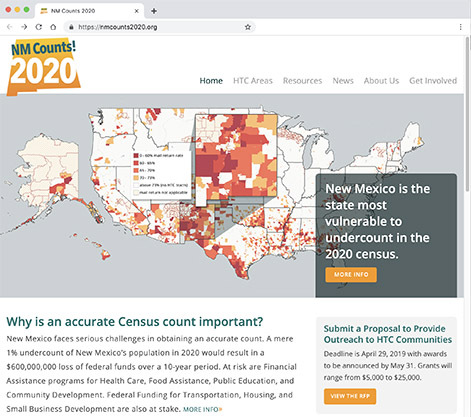 NM Counts 2020 is a non-profit organization created to ensure accurate counts in the 2020 census in New Mexico, particularly in Hard-to-Count areas. New Mexico is the state most at risk for an undercount. In addition to web design and development, Evo designed the logo for the organization. 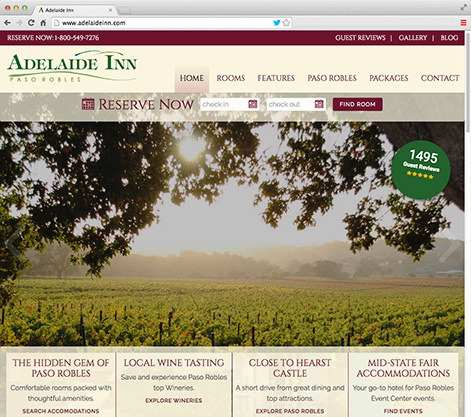 Competition for travelers and tourists is fierce in California’s wine country, so they needed a website with a lot of bells and whistles. There are sliders, galleries, videos, 3D tours, custom maps and more. In addition, they had several years worth of blog posts that needed to be recast in a new theme. 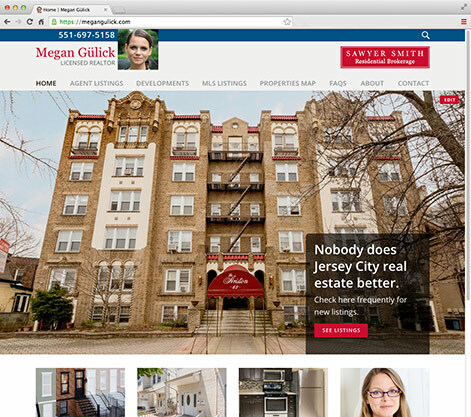 My daughter Megan is the #1 realtor in Jersey City, and proof of the power of personal branding for agents. A ‘listings’ custom post type tailored to her needs and a completely custom theme allows quick updates. On select properties, includes Matterport 3D tours. 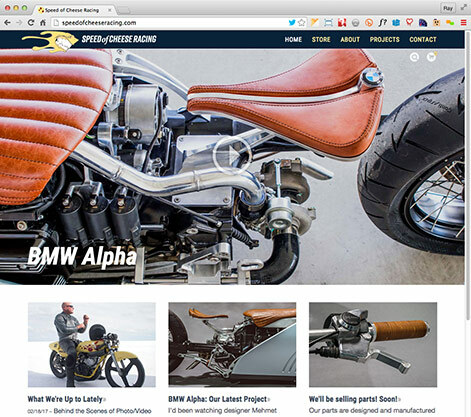 Website for salt flats land speed record-holder, Mark Atkinson. Includes a WP eCommerce implementation, a blog, and a news section that links to stories written about Mark and his projects. 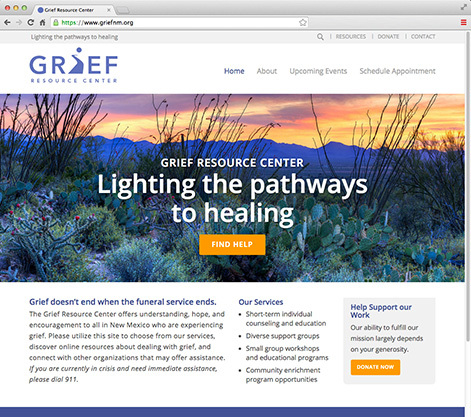 The Grief Resource Center needed a website that would help them schedule appointments and accept registrations and RSVPs for events. Acuity Scheduling was integrated with their website and personal emails, and online registration was accomplished with Gravity Forms. 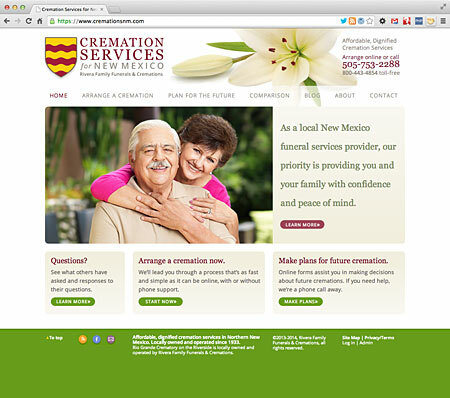 CSNM is part of the French family of companies, New Mexico’s largest provider of funeral services. 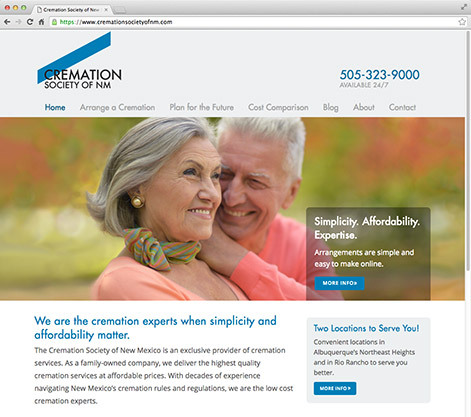 This website allows CSNM to offer online arrangements for cremations, including payment by credit card, gathering all required information, and acquiring authorizing signatures. 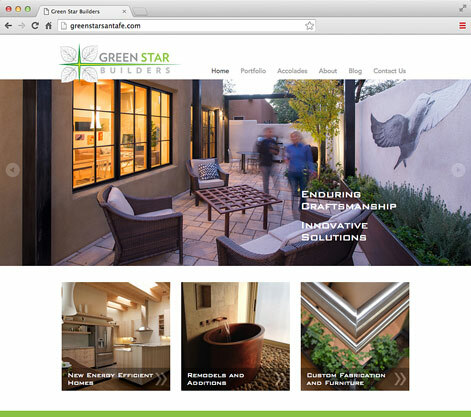 Green Star Builders is an award-winning local Santa Fe builder dedicated to green building and superb craftsmanship. They need a website that allows them to show their work, but also can be quickly and efficiently updated as they add new work, news, or blog posts. 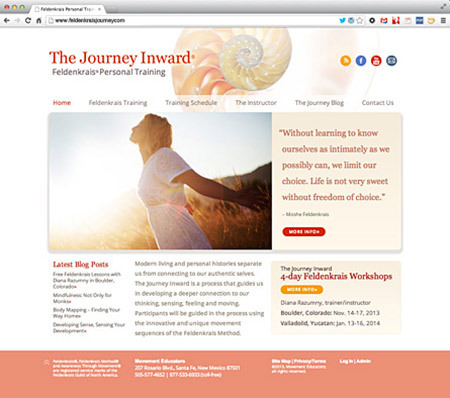 A “project” custom post type simplifies the addition of new work to the site. 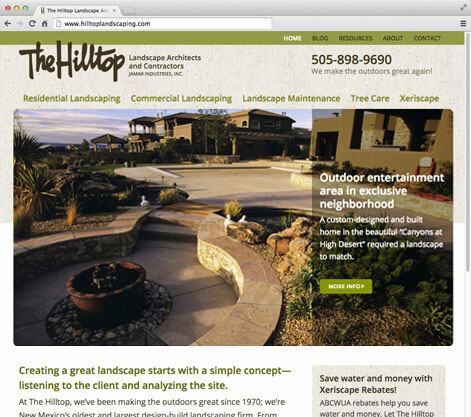 The Hilltop is New Mexico’s oldest design/build landscape architecture company. They needed a website that allowed them to showcase their work in various categories. A “project” custom post type that allowed selection of categories simplified adding new projects to the site. 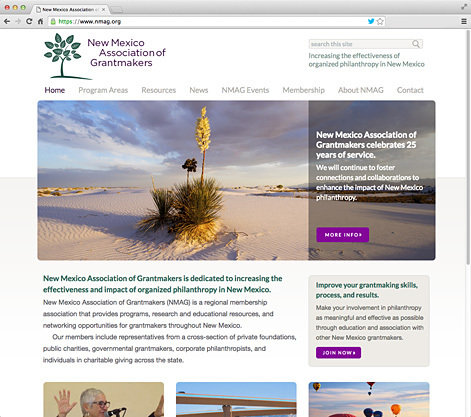 NMAG is a regional membership association that provides programs, research and educational resources for New Mexico grantmakers. They needed a responsive site and secure online transactions for their membership application and event registrations. 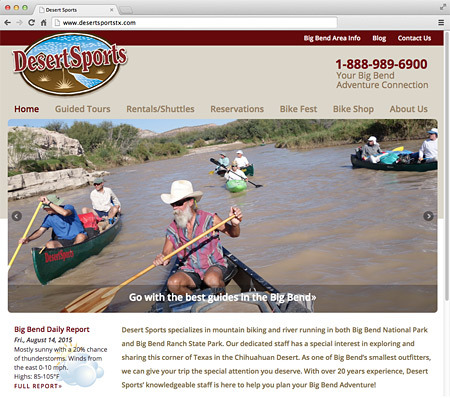 Desert Sports needed a responsive site that made daily weather and trip updates quick and easy. The admin area of the site was extensively modified with custom post types and custom fields to minimize time required for updates. SSTP’s site has been converted to a responsive theme. It includes several custom post types and custom fields to minimize content styling and optimize efficiency for SSTP staff in updating the website. For instance, companies appear on the homepage slider by simply checking a box. Rivera’s website allows people to make online arrangements for cremation services via Gravity Forms and Stripe (for credit card transactions), or submit information to initiate a prepayment plan. One of the more interesting projects we’ve been involved with. Veteran Feldenkrais trainer Diana Razumny is shifting her practice from training Feldenkrais practitioners to working with individuals who can personally benefit from The Feldenkrais Method®. The site makes use of custom fields, custom post types, and for registration, some fancy programming associated with Gravity Forms. 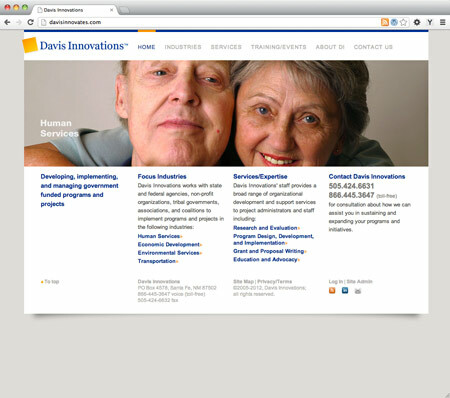 We relaunched Davis Innovation’s website with WordPress following a few years with a custom CMS. The site includes a registration application tied to an events custom post type and, through Gravity Forms, to PayPal. A news custom post type was also implemented. 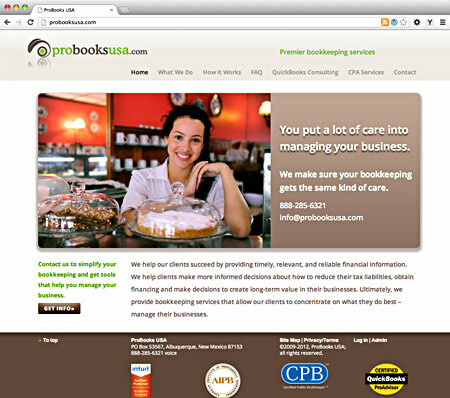 ProBooks USA is a premium bookkeeping service with clients around the nation. 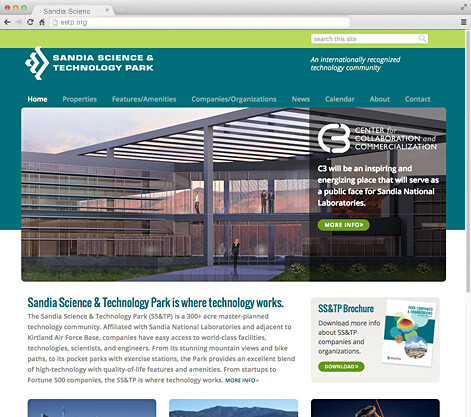 We redesigned their existing website and moved it from another CMS (cough! Joomla!) to WordPress. It makes use of custom fields to simplify site updates.